Whether traveling for a luxury vacation or business, our Romania jet charter brokers can arrange a private flight to/from anywhere in Romania and neighboring areas. Travel to Europe using our Romania private jet charter service. Romania, is a country located in southeastern-central Europe on the western shore of the Black Sea. Romania is surrounded by European countries Hungary, Moldova, Serbia, Bulgaria, and the Ukraine. Romania provides many activities during warmer summer and colder winter months, which attracts tourism throughout the year. If you are a winter sport enthusiast, enjoy ideal settings for skiing and other related activities from December to March. Private flights to Bucharest (Romania’s Capital), Brasov, and Sinaia are frequent requests by Jet Charter Europe clientele. Fly privately to your desired Romania destination and arrive in style. 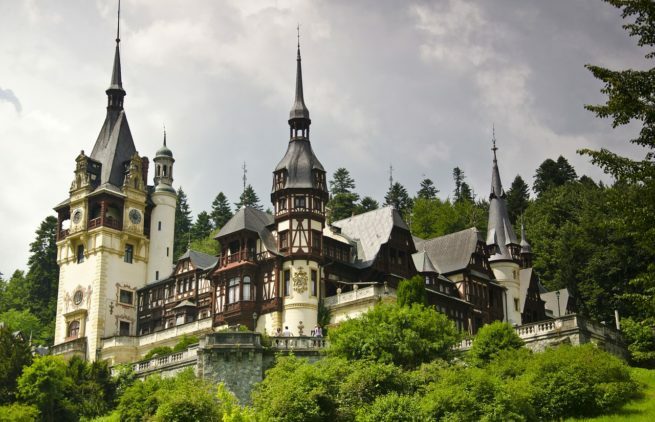 The below list of popular destinations within Romania are based on our clientele, online reviews, and local attractions/activities. Request a Quote or give us a call at 1-888-987-5387 to speak with one of our Romania private jet charter service brokers for your next luxury vacation, business trip, or special event.